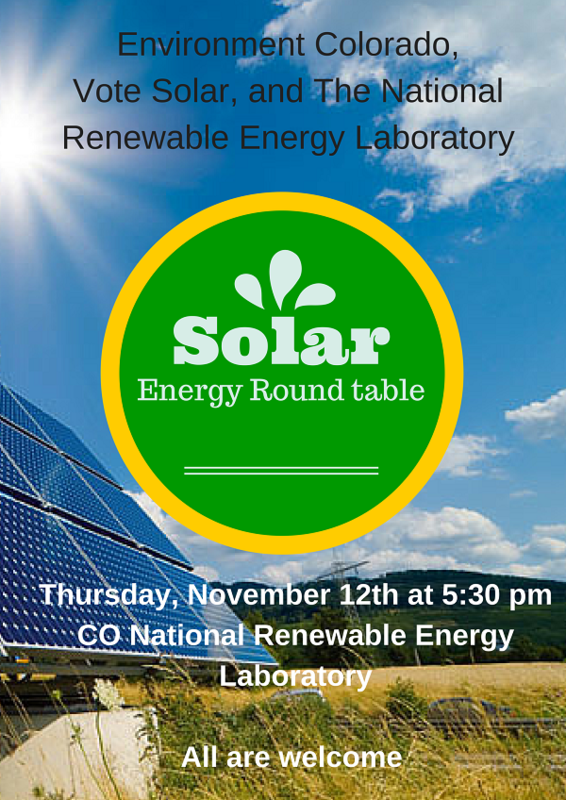 RSVP to the Solar Energy Round Table! Let’s get back on track with solar energy in Colorado. Come voice your own vision for a clean energy future in our state. We will discuss what’s happening with solar energy in Colorado and our vision for the future of solar power in our state. Panelists include: Jeff Ackermann from the Colorado Energy Office, Jessica Scott from Vote Solar, and staff from the National Renewable Energy Laboratory. Are you planning on driving to the Solar Energy Round Table?